It is very nice traditional place to stay. Great location, walking distance to all historical places in the city. Very supportive and helpful staff. They have free transportation from bus station to the hostel. Special thanks to Mustafa. Very good guest house with helpful, friendly people. The room was very nice as well. Very nice hotel and friendly staff. I would certainly stay here again. It is a nice and clean hostel with a friendly staff. A hostel with a very beautiful and charming courtyard. 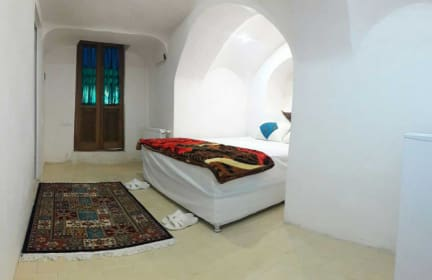 The hostel is located very close to the main attractions of Kashan. The included breakfast was great! Mustafa, The hotel manager was one of the most comfortable human-beings I’ve ever meet! Lovely place, well located, cheap and humble in the best manners. 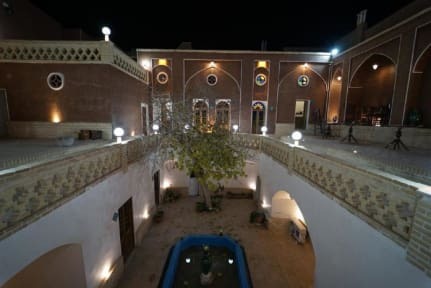 Lovely hostel in Kashan. The staff are really lovely and friendly and helped out with buses and tours. The hostel is clean and comfortable, with nice common areas. Well located near the mosque and traditional houses. Great hostel close to all the sites. The team behind the desk are legends and booked us some cool tours to the salt lakes, and also to Esfahan via abyaneh and natanz. The driving can be a bit F1 though so not recommended if you're squeamish! Private room was very comfortable and clean, the location couldn’t be better, and the breakfast was good, too. Just be aware that the tours and transfers offered through the hostel do not include a guide, but rather a driver with basic or very basic English and limited knowledge of the actual sites. The tours are very affordable, so perhaps this is to be expected, but don’t be fooled by the brochure, which suggest tours are led by English-speaking licensed guides.